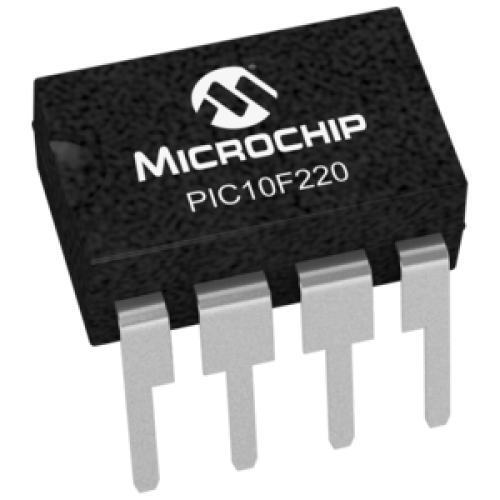 The PIC10F220 is a low-cost, high-performance, 8-bit, fully-static Flash-based CMOS microcontroller. It employs a RISC architecture with only 33 single-word/ single-cycle instructions. All instructions are singlecycle (1 µs) except for program branches, which take two cycles. 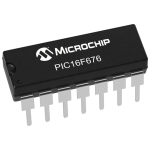 The PIC 10F220 Microcontroller delivers performance in an order of magnitude higher than their competitors in the same price category. The 12-bit wide instructions are highly symmetrical, resulting in a typical 2:1 code compression over other 8-bit microcontrollers in its class. The easy-to-use and easy to remember instruction set reduces development time significantly. The PIC10F220 are also equipped with special features that reduce system cost and power requirements.